People seldom appreciate the difference between different email providers, and in my job I spend a lot of time trying to convince clients, associates, colleagues and the rest that switching to a Gmail account or even better a Google Apps account has countless benefits. Today I am going to focus on the simplicity of one of my favourite and most commonly overlooked Gmail features. Labels in Gmail are basically folders, if you ask me they should have just called them folders but nevertheless they do the same thing. It allows us to create specific folders and if we want sub folders too. Filters allow us to search each email for set criteria and then do something with the email as a result. We could set all emails to “mark as read” as soon as they arrive, or as we are going to explain in this tutorial have certain emails skip the inbox and go straight into a label (folder). For the sake of this tutorial we are going to create a social media label, and then create a label for each social media network we want to filter. These individual social networks will be set to have the parent “Social Media” to keep them as organized as possible, and so we can show and expand these labels. As you can see in the screenshot I have created the following. 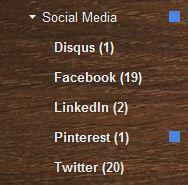 Social Media – Pinterest, Facebook, Twitter, LinkedIn and Disqus. To create a new label browse to the bottom left of your Gmail sidebar and click “Create Label”. Repeat this process as many times as you need to create labels for each social network you receive email updates from, remembering to nest all sub labels under the parent label (Social Media). 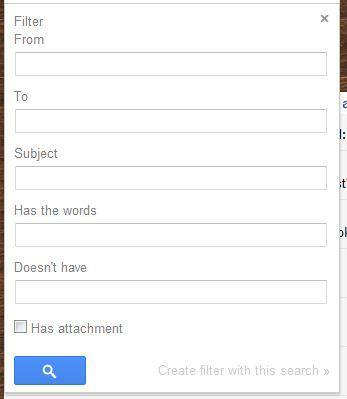 You can use this process for filtering and “folderizing” emails of any type by changing Social Media, to the subject of the email type your organizing. Once you have all of the labels you want to start with it is time to look at creating a filter for each one. 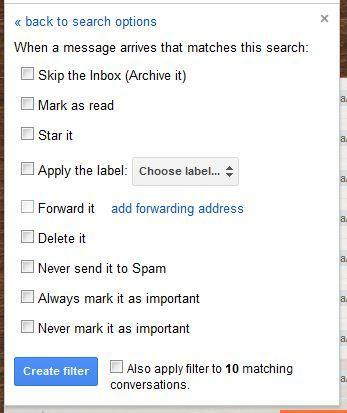 To create a new filter click “Manage Labels” at the bottom of the left hand sidebar in gmail. You will then be on a screen showing all of your labels, and need to navigate to the tab across the top which says “Filters”. Click “Create New filter” to open up the filter criteria dialog box. Here we will select the most accurate criteria from the options, and add relevant data from an example email which will be constant every time you get an email update from a particular website or social network. I find the best solution for this is to use the “From:” field, and put @websitename.com as this means the filter will only grab emails from a particular companies email account, but will pick up any extension like info@ sales@ updates@. Companies tend to email you from multiple different email accounts @theirbrandname. The point of this exercise is to keep our inbox clean from social updates, so we also want to click the box to set “Skip The Inbox (Archive it)”. We then want to apply the label to put any emails which fit our criteria into. If you already have several emails in your inbox which fit the criteria it will show you a number in the bottom right, in my example screenshot (above, right) it shows 10 matching conversations, it is good practice to tick this box and click create. Once done, its complete, all emails from that website will skip your inbox and go into a sub label so you can check them all once a day or so instead of seeing them crop up amongst important emails from clients, colleagues, and friends. Simply repeat the process as many times as you need and you will have an uber organized email system and a way of managing your social media updates thanks to Gmail. We would love to hear more clever ways to use labels and filters to organize categories of emails so feel free to post a comment below and let us know.